Ant: The new series Evilution is quite a departure from the previous novels, what inspired you to write this series? Hylton: I suppose Evilution came about because I had finally finished the fourth and final part of the Nexus Odyssey, and then feeling I needed to work on something a little different. Bringing Renewal to the ending I had in mind was satisfying, but not not to be re-visited. I have always thought that technology has benefits and pitfalls, and the internet or social networking are good examples. It seemed as though a story would be a good way to explore this. I could not have guessed that the recent riots would have illustrated the dangers so clearly. Still, Evilution was more sinister. Ant: How did you get interested in writing, could you list a few of the authors who have influenced you the most? Hylton: I got interested in writing many years ago but did not have the time or the confidence to put ideas out there for others to judge. When I did eventually have the time I started with a political satire, which was probably more of a rant, laced with a little humour. It gave me the push to try my favourite genre of science fiction. My favourite authors are Arthur C Clarke and Isaac Asimov, and I have been influenced much more by the former. He had an uncanny ability to explain the most complex concepts in a way which allowed anyone to grasp the salient parts. I also enjoy Frederic Forsythe as some of his stuff is bordering on Science fiction. Ant: The Evilution series is set within an alternative universe where the Spanish Armada defeat the English and from there history diverges. Did you have to do much research for this? what made you choose that point in history in particular? Hylton: The alternate history angle has always fascinated me, because of how single decisions can alter the future dramatically, and sometimes unintentionally. We have much of our heritage from the decision of William the Conqueror to contest the throne with Harold. It may never have been like that if Edward the Confessor had produced an heir. It also gives the writer a certain licence with historical subjects because the altered context becomes fiction. I did quite a bit of research for Evilution, as I wanted to arrive at a feasible two-state world. The Armada and the Mongolian empire were good examples of interesting periods, and they would probably have clashed. That was the theory anyway. It then needed an addition of herbs or spices, in the form of current or near future technology. Ant: What is the best thing about being an author? Hylton: I don't really know what the best thing is about being an author. I just get a tremendous amount of pleasure out of creating ideas which propagate to stories. If they are appreciated by others then that is an additional reward. I have also received critical reviews from some people, and when they are constructive they do motivate me to take note, and try to improve those aspects. I am also very lucky to be able to do the things I like best. Ant: What kind of books do you read? If you can find any time for reading at all? Hylton: I do read quite a bit of science fiction over time. I tend not to read that genre when I am writing, as it could be a distraction. I probably read more political thrillers when I am writing. Ant: What advice would you give aspiring writers? Hylton: I don't really feel qualified to give advice to would be authors, other than if you don't try you may never experience the truly personal pleasure it can give you. What have you got to lose? Don't wait as long as I did!! Well there is a contradiction, although I am not comfortable with giving advice, I just offered three such examples. Ant: If there was one question you have always wanted to be asked in an interview what would it? how would you answer that question? Hylton: This is a difficult question. I would like to have been asked what it felt like to come from the rear of the field to win the olympic 1500 metres gold medal. Unfortunately, I was just short of the requisite anaerobic threshold to be taken seriously. My answer would have been, "I just hung in there until the last 300, and knew it was now or never. It was an absolute blur from then." Ant: Have you any plans for your next novels you could share with us? 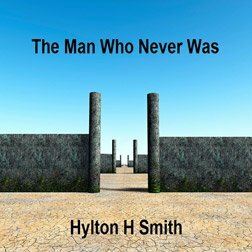 Hylton: Well, the Evilution series is not finshed. As unlikely as it may seem from the progression of "The Sacred Protocol" and "Divine Extinction", the third volume is underway. It is even more different from those two books as they were from each other, and I remember your review saying how they had such a contrasting feel. "The Ice Wars of Dominia" will be something new for me, and it is primarily as a result of the alternate future arising from fiddling with the past. This book will take more time for the threads to converge. I hope it gels with the prequels, despite the differences. Thank you for your time and we look forward to seeing the forthcoming novel The Ice Wars of Dominia when it's finished.